Dark neck is an embarrassing problem, which becomes an even bigger issue when you have a fair facial complexion. The darker complexion of your neck may be because you don't wash your neck as often as you wash your face. The next time you apply moisturizer on your face, be sure to apply it on your neck as well to improve your neck complexion. There are other ways to answer how to get rid of black neck. Here's a bit more. How It Helps: Potatoes contain an enzyme called catecholase that has impressive bleaching property. 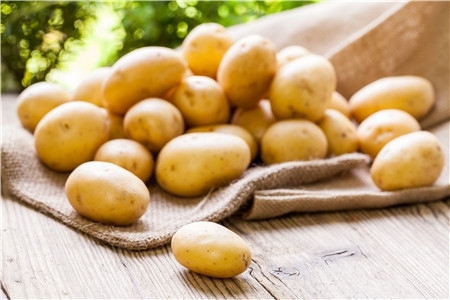 Using potatoes on your skin is a good way to lighten dark skin patches. How to Apply: You may use potato juice or grated potatoes for this purpose. Using potato juice is easier because you can apply it all around your neck. Let it sit there for about 15 minutes and wash it off with cold water. How It Helps: Everyone knows milk is a great cleanser. When combined with other ingredients, it may serve as a great moisturizer for your dark skin. 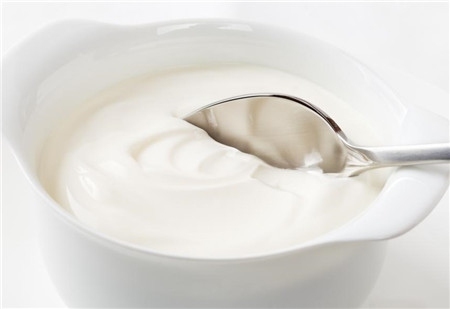 How to Apply: Mix fresh cream and yogurt together, and use it to massage your neck every day. You can wash it off with a mild soap and warm water. You may also consider rubbing fresh cream directly on your neck or mix it with gram flour to make it more suitable for exfoliation. 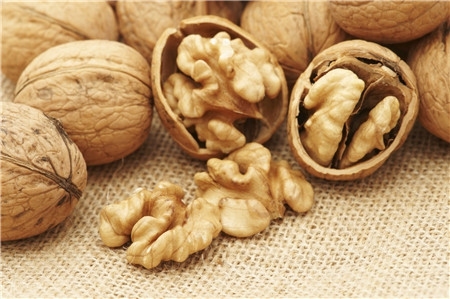 How It Helps: The presence of minerals and vitamins makes walnuts a great nourishing agent for your skin. You can consider making a scrub using yogurt and walnuts to help improve the skin tone of your neck. How to Apply: Crush some walnuts and mix them in yogurt to make a paste. Apply the paste on your neck or only on the darker portion of your neck. Then scrub for a few minutes and leave it there for a few minutes or until it dries up completely. Finally, wash it off with rose water – you can use simple cold water as well. Do it at least twice a week to get good results. How It Helps: Thanks to the citric acid it contains, lemons can work as a natural bleaching agent. 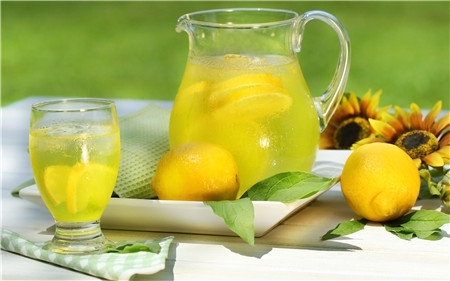 Lemons also contain vitamin C that may help remove dead cells and improve the complexion of your neck. How to Apply: Use a cotton ball to apply lemon juice to the dark skin of your neck. You may want to dilute the lemon juice a bit if you have sensitive skin. Wash it off with cold water in about 20 minutes. You can also make a mixture of rose water and lemon juice, and apply it on your neck before you go to bed. 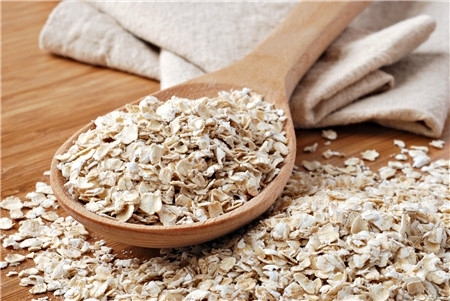 How It Helps: Oats work as a natural skin scrubber and are quite effective in exfoliating the skin, which in turn will help improve the color of your neck. How to Apply: Mix a couple teaspoons of coarsely ground oats and tomato puree to make a thick paste. Apply it on your neck and leave for about 20 minutes. Once it dries up, scrub your neck gently. Wash it off with cold water and use your regular moisturizer to keep your skin smooth. How It Helps: Aloe Vera contains several antioxidants that make it a great moisturizer and an effective way to lighten your skin tone a bit. It also helps repair skin cells. 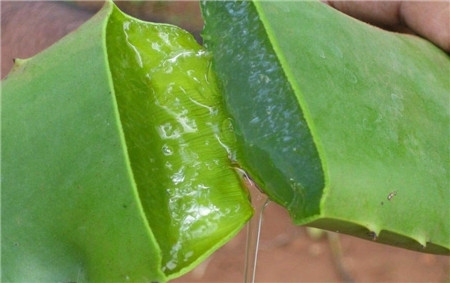 How to Apply: Get pure Aloe Vera gel and apply it on your neck. Massage with your fingers gently. Wash it off with cold water after 20 minutes or so. How It Helps: Oranges are loaded with vitamin C that can work amazingly well to lighten your skin tone. 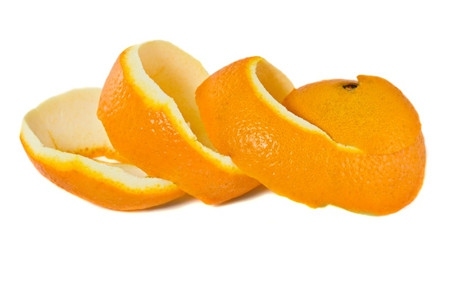 In fact, orange peel can be a great cleanser as well as a bleaching agent for your skin. How to Apply: Leave some orange peel in the direct sunlight until it dries out completely. Now, put it into a grinder to turn it into a powdery form. Add this powder in whole milk to make a thick paste. Use this paste on your neck and leave it for a while until it dries out. Use cold water to wash it off completely. 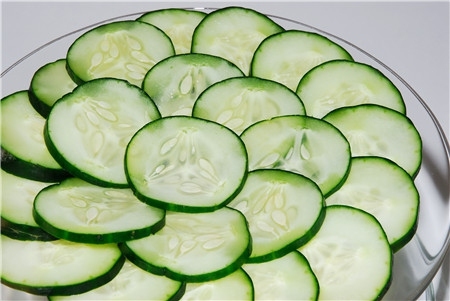 How It Helps: Due to its soothing properties, cucumber can be a great way to improve the complexion of your dark neck. It works to remove dead skin cells and repair them as well. You will get glowing skin with regular use. How to Apply: You can use cucumber juice or grated cucumber for this purpose. Apply it directly on your neck or use grated cucumber to scrub for a few minutes. Use rose water to wash it off completely. Stick to this remedy for a few months to see results. 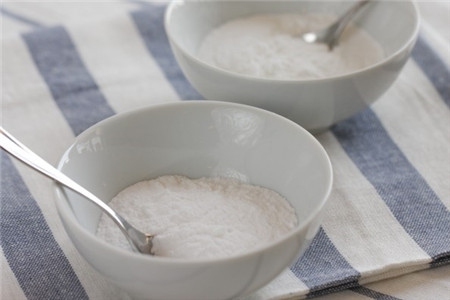 How It Helps: Baking soda exfoliates skin and cleanses it to improve your neck complexion and treat discolored patches. The mixture of baking soda and water can be quite effective in eliminating hyper-pigmentation around your neck. How to Apply: Make a solution by adding 3 parts of baking soda to 1 part of water. This will make a thick paste that you have to apply on your neck at least twice a week. Make sure to leave it on your neck for a few minutes before you wash it off with cold water. 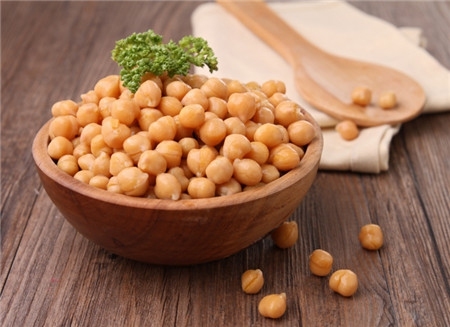 How It Helps: Using chickpea flour may help because it works as a scrubber and reduces dark skin patches on your neck. For better results, you may want to add turmeric to chickpea flour to improve its antiseptic properties that will help treat skin problems. How to Apply: Add a pinch of turmeric to a couple teaspoons of chickpea flour. Add some water to it and make a thick paste. Apply it directly to the dark spots on your neck and let it dry for 20 minutes. Scrub it away using cold water and repeat it on alternate days for a few weeks. Sometimes, home remedies won't prove that effective. If that's the case, it may be a good idea to try some medical treatments, like lotions with Hydro-7. Here's more about how to get rid of dark neck using medical methods. You can use chemical peels to improve the appearance of your dark skin. It is a good idea to consult with an experienced dermatologist before selecting a specific type of peel. You may have to undergo this procedure once every 2 weeks. It's a physical medi-exfoliation to lighten your skin tone a bit. Your physician may use aluminum oxide powder for exfoliation or they opt for a diamond crystal hand-piece for this purpose. Work with an experienced physician only to see a change in your pigmented skin. Lasers can help treat Acanthosis Nigricans and may even help improve the complexion of your neck. It is usually a safe treatment option, but you should only work with a certified laser trained dermatologist for the best results.